My home is usually cold in the winter months, nevertheless of heating. I live on the top floor on top of a hill with poor insulation in windows where I can hear the wind whistling on almost any day, as the wind is a fairly common occurrence in Scotland. This usually means that I am always dressed in layers of warm clothing and am snuggled under a blanket. The blanket I have is knitted and crocheted patchwork blanket that I’ve made out of leftover yarn. I love it, but it isn’t the prettiest thing to keep when we get guests, and it has holes which do not always make it the warmest. Also, sometimes you just need more than one blanket. I remembered seeing recycled wool blankets somewhere and decided to search online if I could find any. Almost instantly I found this shop Future Kept which sells a variety of beautiful recycled wool blankets in different check prints. Before I knew it I had ordered myself one, and in a couple of days, I was admiring the beautiful and so cosy recycled wool blanket made by Tweedmill. Since then it has been warming me every day alongside my other blanket. It is the warmest thing I have and it keeps the heat in very well. So well that the cats can’t stay under it for long periods of time as they get too warm. I fell in love with the blanket instantly and since then have been planning on purchasing one in another colour to have in my bedroom when I need extra layers in there. The blanket is great quality, it looks beautiful and I love that it is made out of recycled wool in Wales. Wool is such an amazing fibre which is adaptable to heat and cold keeping you warm in cold and keeping you cool when it’s warm. In addition, it is antibacterial, breathable, natural, biodegradable, strong and it is easy to care for. There are problems with the ethics of wool, which you can read about in this excellent post. Unfortunately, ethically produced wool can be difficult, but not impossible, to find and I love to see the wool being recycled as it makes it more sustainable and shows just how resilient the fibre is. Before I purchased the blanket I checked the Future Kept website and was so happy to have found another ethical store that is concentrated on timeless pieces, that are hand made, are of great quality and unique. The owners Jeska and Dean Herne themselves say that they created the online shop to “to seek out beautiful and useful items for life and the home that are made with love, thoughtfulness and detail”, which definitely translates through the pages. They offer beautiful home wear, down to earth accessories, delicate jewellery, natural beauty, beautiful books and journals, and much more. The website is a joy to visit and discover new beautiful items. I also love that from every sale 1% goes for the Planet, where they give 1% of any sale directly to environmental, not for profit groups that focus on protecting, preserving and restoring our planet. I love that! The whole website looks beautiful and it’s like diving into Jeska’s and Dean’s world when visiting it. Their photography is lovely and rustic where each picture could be on Instagram. Their Instagram feed looks just like the shop come to life with a strong hygge (a word that I really don’t like, but it is the only word I can think of describing it) feeling to it. I know that I will be checking their shop especially when it comes to buying presents either for loved ones or to treat myself! Have you shopped at Future Kept? What kind of a blanket would you prefer; virgin wool, recycled wool, made out of recycled plastic bags, any other? It’s that time of the year again when we get frantic about finishing all the work, preparing for relaxation time and trying to find everybody some presents. My best tip is to check a couple of tip posts or articles out, for some inspiration, and especially the ones for ethical and sustainable presents, there are many of them this year! And then listen to your friends and family and what are they looking for. I think often the best presents are time and being together with somebody, or giving them an unforgettable experience, and that post I will be posting up soon, however, for those who want to give products I am sharing some great brands here where you can find absolutely amazing products that are ethical and/or sustainable, and there are options for different price points as well! Do remember that the most ethical present (in items) is something that the person wants and will use years to come. You can check an alternative Sustainable Gift Guide that I wrote last year from here and the post about gifting experiences can be found here. The decorations and seeds seen in this posts are from LA Juniper online store and part of the presents I am giving. 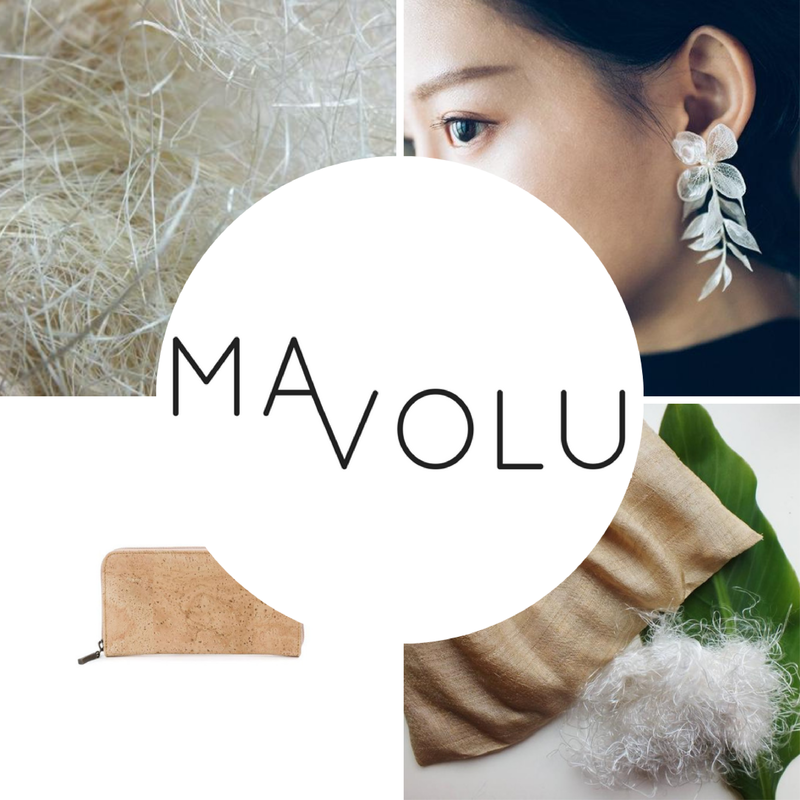 Mavolu – An online shop based in Germany selling fashion, accessories and home products made with sustainable textiles. Gaia & Dubos – A Canadian sustainable fashion company selling beautiful products, teaching how to care for them. In addition, they offer a bunch of tutorials for caring for your clothes. La Juniper – A beautiful online store for homeware, stationery and gift products all ethically made. Alicas – This is a Scottish brand working on providing women in crisis new clothes by repurposing surplus stock from retailers. They are selling ethical items with beautiful illustrations, right now to fund their amazing project. Elvis and Kresse – Make amazing accessories from repurposed fire hydrants and off-cut leather. In addition, they give 50% of their profits to charity. This is one of my favourite brands at the moment and their accessories are on my Christmas wishlist! Wild Tussah – Ethical accessory brand made by artisans. Nandi Berlin – Ethical homeware store with items made by artisans. Buy Me Once – Fashion, homeware and gift that will last a long time, are high quality and look great. Gather and See – Sustainable and ethical fashion from around the world. LiiL – British made Giclee prints and ethically made sleep masks and homeware. Primrose and Pixie – Ethical and sustainable lingerie from Scotland. Studio Emma – Beautiful and colourful homewares made out of concrete. Maik London – Homewares that are sustainably sourced and ethically made in beautiful prints. I especially like their socks! Acala – Zero waste beauty shop selling everything to women and men. MyPure – Natural beauty shop for women, men and children. Evolve – Natural and organic beauty brand, which is one of my favourites. White Spring – Sell high-quality bamboo straws, which are a great present for anybody who likes to drink with straws. 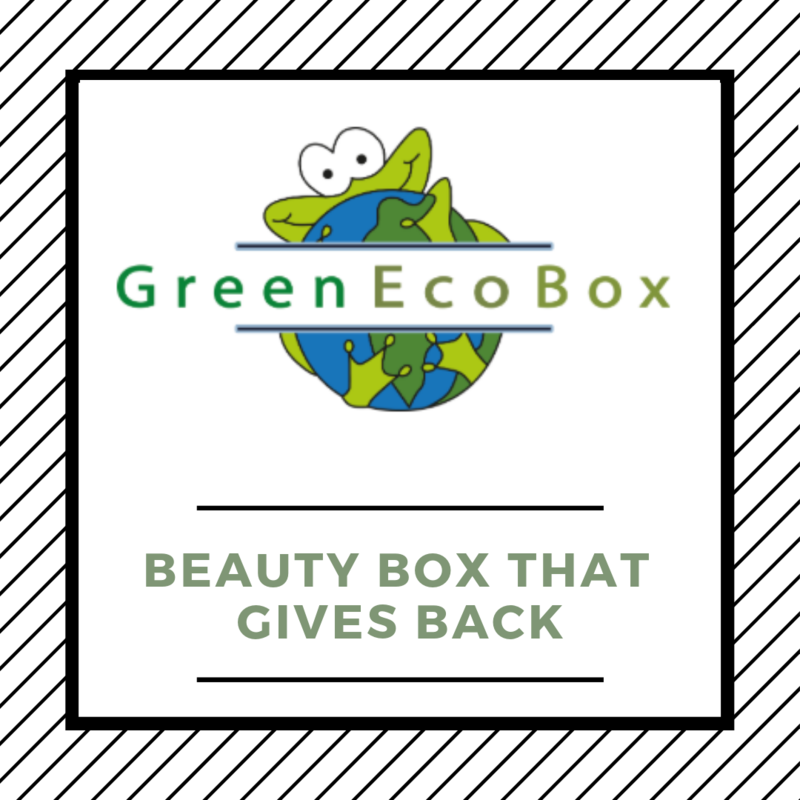 Green EcoBox – They have a natural beauty and gourmet food-related subscription boxes which give back. These boxes are amazing for somebody who likes to try new products which are of high quality and from small brands. If you don’t want to get the whole box or a subscription then you can check just the products on their websites. They are amazing! Sourced Box – A subscription box full of healthy treats and for Christmas, they bring in a healthy chocolate box which looks so delicious I might just have to order one for myself! Ethical Consumer – A subscription to this magazine will support ethical consumer magazine and bringing information about ethical businesses. It is a great magazine which I like to support. Willoughby Book Club – or any other book subscription. At Willoughby, you can choose how long subscription and what type you want to order. Spotify – or any other music service. Having the premium service can be a nice difference when you don’t have to listen to the constant advertising. Netflix – or any other video service. There are so many options and so many of us watch tv on a daily basis. Who Gives A Crap – Why not gift somebody, especially those who might need it, a subscription of toilet paper which is better for the environment as well. I know this might be a controversial present, but I also know that some people would love this present! Let me know if you have any other great shops or tips for Christmas! After attending the Circular Economy conference I got a better understanding of how recycling and especially plastic recycling works, and why it doesn’t often work, and it has provided me with a better picture of what plastic should or shouldn’t be used for. Plastic can be a wonderful material for certain uses, but there are many uses for which there are more cons than pros and such is plastic used in food packaging or as utensils. Food contaminates plastic which makes it more difficult to recycle, as the food contamination lowers the quality of plastic that it can be recycled into and therefore single-use plastic often end up on the landfills or being incinerated. How plastic contaminates food is another matter as plastic can’t be tested for everything at the same time, but rather it can be tested for certain “leaks”. Therefore you might want to use compostable or reusable packaging and utensils when possible. One of the great materials used in reusable utensils is bamboo. It provides some wonderful benefits whilst not costing too much to the planet. Bamboo grows quickly without pesticides and when grown with responsible forestry it can be a fairly sustainable material. Bamboo is free of all the chemicals used in plastic straws and is naturally anti-bacterial. At the end of use, bamboo is biodegradable and can be composted in industrial compost. For straws bamboo is an excellent material, although it often varies in shape, it is durable when properly cared for. Plastic – We are used to the feel of plastic straws in our mouths and therefore prefer them, however, this perception can be changed. Nevertheless, plastic straws can be useful for when other alternatives are not suitable. Silicon – Is a great alternative and can be recycled, but is not biodegradable. Stainless steel – It requires quite a lot of energy to produce and can leave a metallic aftertaste, although it could be recycled. Paper – Is a single-use alternative, which could potentially be recycled, however, it faces a similar problem with plastic and food contamination and therefore many councils do not accept them into their recycling. Glass – It again requires quite a lot of energy to produce and it can be very fragile. White Springs want to use bamboo as an alternative to single-use plastic. They pride in creating straws which are compostable whilst still being high-quality compared to many others on the market and truly they are durable, do not crack and feel nice and smooth in your mouth. In addition, they strive to pick bamboo with fairly similar internal diameter. With your bamboo straws, you get two cleaning brushes and an organic cotton bag where you can store them, or carry them with you. You get 8 straws and two cleaning brushes in the pack. I like them, but the thickness is something I have to get used to, it isn’t unpleasant though. I love that they are reusable, organic, made out of natural materials and that they are compostable though! My partner said he felt they brought the taste of wood to his drink, but I found it didn’t affect the taste of my drink in any way, I rather liked it. Cleaning them the brush goes nicely all the way through, however, feels a bit tight. It still cleans the straws very well and airdrying them is fairly quick. They are dishwasher safe as well! From previous experience with bamboo products, I wouldn’t leave the straws soaking in water, as long periods of moisture can create mould. I didn’t experience it with these straws but I am mindful of it. They feel really durable, smooth and nice to use. The bag fits the straws well but doesn’t feel cramped, and I love that I have something to carry them with me if I need to. There is no plastic when you receive your straws. Straws and brushes are in the carry bag and the carry bag is in a neat cardboard box. The straws work very well for most cold drinks, however, for some reason with carbonated drinks they float a little bit and it pushes the bubbles up, although it doesn’t much affect drinking them either. The straws vary in size, but it doesn’t matter to me. Different sizes can be pleasing to different people or different drinks. My kitten was really excited about them as well. Compared to plastic I am not afraid if he plays around a bit with the bamboo as then he won’t be swallowing pieces of plastic. The bamboo is durable enough so he shouldn’t be able to break and eat pieces of it. White Springs has kindly offered a discount code for my byLiiL readers, for UK customers only. You can use the code: WS324977 for a single purchase (it is valid until the 31st of December), which you can apply at checkout, and you can order your very own White Springs bamboo straws here. Do check their website out for more information! You can also find them on Facebook, Instagram, Pinterest and Twitter. Have you tried bamboo straws before? Although I follow several sustainable fashion brands from all them I think handbags are my favourite thing to follow and dream about and I only hope to earn more money so I can afford all my sustainable bag dreams. Here are some of my favourite ones. This is an absolute wonderful brand which doesn’t stop to amaze me with their design aesthetics. More interestingly the brand has an amazing story behind it. Since 2005 started rescuing end of life fire hoses to provide the materials with a second lease of life and in 2017 they partnered up with Burberry to reuse their leather scraps. In other words, Elvis and Kresse only use materials that were heading for the landfill! If this didn’t sound amazing enough they are a certified B Corporation and a social enterprise that donates a whopping 50% of their profits to charities among them Fire Fighters Charity. The company tries to be sustainable in every way from running on renewable energy to using rescued materials for their packaging. In addition, they are open and transparent and host workshops in their studio in Kent. Every time I see one of their bags on Instagram I wish I had it, unfortunately for me, they are a luxury brand with prices ranging from £20 for keyfob to £350 for a duffel bag. I can’t yet afford but at least I can dream of one and one day I get my own Elvis and Kresse bag! A second brand whose bags I cannot stop admiring on Instagram. Eve and Adis make beautiful bags and other accessories from innovative and eco-friendly materials such as cork, pinatex and eco leather. 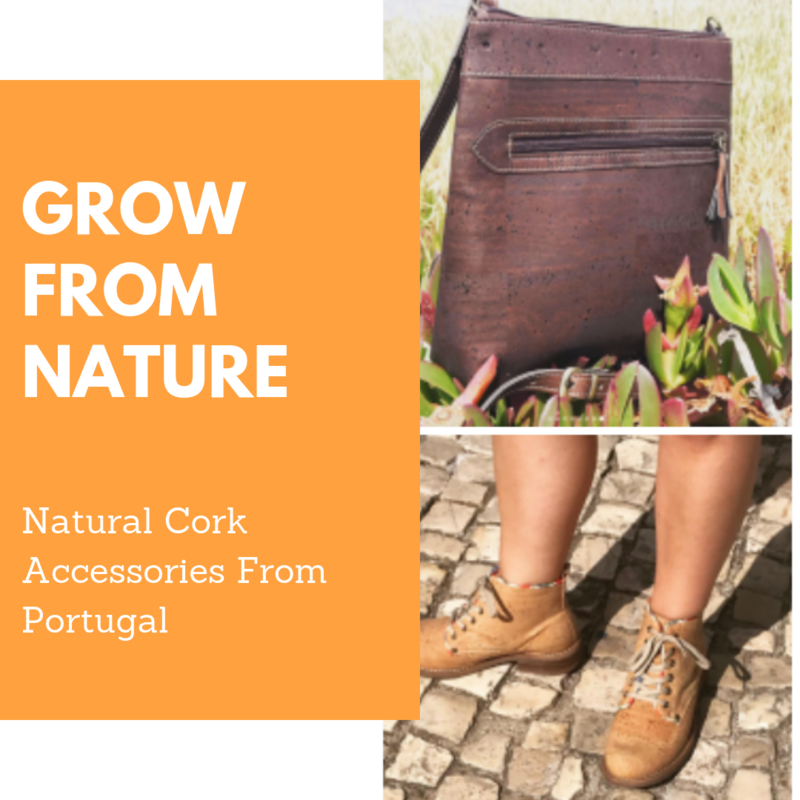 Pinatex is a material made out of pineapple leaves, cork is a highly renewable material grown in Portugal, and the Eco Leather they get from bio-farm in Germany and it is vegetable tanned without any chemicals. All of their timeless pieces are handmade either in their studio in the south of Germany or in a family owned factory in Spain. Mollum Vellum is an artisan leather brand from London. They specialise in traditional craftsmanship with traditional tools, which is inspired by the Japanese style leather work. They source their vegetable tanned leather with sustainability in mind from UK and Italy and every piece is handcrafted by them in their studio. Their brand is the model for minimalist and slow design, with all of their timeless pieces. Is a Spanish brand of vegetable tanned leather and Pinatex bags which is popular due to their bright colours and innovative designs. Maravillas is based in Mallorca where all of their bags are made in the studio with the help of local craftsmen, or in the local trusted factories. They source their vegetable tanned leather from Spanish trusted tanneries. They rejoice in minimalist style and slow fashion principles, whilst using traditional craftsmanship. Marina Kleist is a cork bag designer based in Hague, Netherlands. Their beautiful colourful cork bags are a great alternative to any leather bag, as they are Peta approved vegan. They use French know how to create all of their pieces in their studio with natural materials that are organic and eco-friendly. The materials are either Oeko-Tex or GOTS certified and I already have several of them on my wishlist! This Canadian brand is already world renown for their Peta approved vegan bangs and linings made out of plastic bottles. They are working on making their materials and factories as sustainable as possible and diligently visit the factories in China to ensure high standards and close relationships. They support the dress for success charity. Matt and Nat is definitely one of the front-runners for Vegan handbags and they show it in every aspect of running their business from their HQ being cruelty-free to encouraging their employees to volunteer. What are your favourite sustainable bag brands? I was kindly sent a Beauty in the Box* by Green Eco Box to test and enjoy. I am really excited to introduce you to this box as I enjoyed exploring it and I really feel they make a difference! The Green Eco Box is a company that offers you some wonderful artisan products from around the globe whilst promoting more environmental living and it fights against the big problems in our world today: global warming, deforestation and loss of biodiversity. It is a one of a kind product and service with a small but dedicated team behind it to make it all happen. At the heart of the company is the love for our planet and it’s inhabitants, which can be seen in every aspect the company does from their values and ethos to their products. The Green Eco Box has two types of boxes on offer the Beauty in the box and Bee happy box. Bee happy box is a monthly subscription box that is full of amazing sounding artisan gourmet foods like jams, biscuits and tees, whereas the Beauty in the box (which I received) is a bimonthly box full of artisan beauty products. What is really amazing is that that Green Eco Box has partnered up with amazing charities, for example for the sale of each box the organisation 1 tree will plant a tree in either Haiti or California and depending on which box you choose they gift 3-5€ to WWF or Greenpeace. In the box I received: Shower Gel from Creamy Stuff, Shampoo bar from Sauberkunst, Soap from Les Belles de Savon, Bath melt from Autour du Bain, samples of chocolates from Valrhona, Tea from Higher Living and a sheet of seeds, which when planted will grow carrots. The seeds are untreated which is all the better for me and the soil I will plant them into! I can’t wait to try it out and see if I can grow my own carrots. My kitchen garden is growing!! A pomelo scented shower gel which is not tested on animals and is paraffin, paraben and palm oil free. In addition, it is handmade and vegan. I like the scent of the shower gel, although it is a bit sweet. The consistency was milky, but little goes a long way and it felt luxurious when showering with it. The only criticism I have for the product is that it is in a plastic bottle and therefore I don’t know if I can recycle it here. I have since learned the packaging was made out of recycled plastic and is BPA free, which is excellent! A mango lassi scented shampoo bar that is cruelty-free approved by PETA and handmade with wonderful ingredients that will make sure your hair will only get nourishment and none of the ugly stuff. This was definitely my favourite product from the box and one that I will probably keep buying as it became one of my favourite shampoos ever! The scent was fairly strong, thankfully I like mangoes. And the first time I used it I had to lather quite a lot to get enough product into my hair, however, it washed my hair wonderfully but still gently, as it doesn’t have any soap in the shampoo. The bar is small and would travel well, but also I have washed my hair several times using it and I don’t think it has diminished at all, so will definitely last me a long time! This is a multifunction ‘soap’ that is suitable for hair, body and face, as well as due to it’s natural and perfume free nature it’s suitable for all different skin types and even for babies. It’s full of wonderful ingredients that will make your skin soft and your hair clean. I tried this bar on my hair, which it washed well and on my skin which was left soft. The scent is fairly natural, maybe slightly peaty, but not in a bad way. The scent after the shower is wonderfully natural. The actual bar is like a balm and a pleasure to touch and use. This would be a wonderful product to take with you when travelling as you won’t need any other product in the shower with you! The chocolates were nice and the teas had a wonderful flavour of not being too berry, which is usually what I dislike in teas like this. I especially loved the tea with watermelon as it was flavourful but fresh, yummy! I loved trying these different products and appreciated the uniqueness of each product and the work Green eco box does. What I also like is that if you liked any of the products you tried or if you missed a product that you would like to try you can buy them from the Green Eco Box eboutique! I think the box is a unique way to be introduced to new brands you wouldn’t otherwise find and like me fall in love with new products. Each box contains something new and interesting and you know that the money you put into the box goes towards supporting small brands and their craft as well as great charities, which I love! I also like that many of the products were third-party certified which made me trust the work Green Eco Box is doing that much more! Monthly subscription of Bee Happy box is 42€ (approx. £37.5) delivery is included to EU, Switzerland and the UK, additional costs for deliveries to other countries. Bimonthly subscription of Beauty in the Box is 33 € (approx. £29.5) delivery is included to EU, Switzerland and the UK, additional costs for deliveries to other countries. Right now if you subscribe you get 15% off, which is a great deal to try this box now. Check it out! Boxi joka tarjoaa sinulle mahtavia tuotteita eri nurkista maailmaa ja samalla promoaa ja tukee ympäristöystävällisiä elämäntapoja, sekä taistelee isoja ongelmia vastaan kuten: ilmaston lämpeneminen, metsä kato sekä luonnon monimuotoisuuden kato. Tämän erikoislaatuisen tuotteen ja palvelun taustalla on pieni mutta hyvinkin omistautunut tiimi joka varmistaa että jokainen boxin tuote on harvinainen ja korkea laatuinen. Green Eco Box:illa on kahden tyyppistä boxia tarjolla: Beauty in the box ja Bee happy box. Bee happy on kuukausittainen tilaus-boxi joka sisältää artisaani herkkuja kuten gourmet hilloja, keksejä sekä erikoisempaa teetä. Beauty in the box (boxi jonka minä sain kokeiluuni) on tilaus-boxi joka tulee joka toinen kuukausi ja sisältää artisaanien tekemiä korkealaatuisia kauneus tuotteita, joita ei ole testattu eläimillä. Vielä mahtavampaa on että Green Eco Box on lyöttäytynyt yhteen hyväntekeväisyys järjestöjen kanssa ja jokaisesta boxista menee 3-5 euroa joko WWF:lle tai Greenpeace:lle, sekä 1 tree hyväntekeväisyys järjestö istuttaa yhden puun per jokainen boxi joko Haitiin taikka Kaliforniaan. Minun boxini sisälsi: Creamy Stuff suihku geelin, Sauberkunst kiinteän shampoopalan, Les Belles de Savon saippuan, Autour du Bain kylpypallon, Valrhona suklaata, Higher Living teetä, sekä siemenpaperin jonka siemenistä kasvaa porkkanoita! En malta odottaa että saan kasvatettua itselleni porkkanoita ja levitettyä pientä keittiö puutarhaani. Tämä suihkugeeli oli pomelon tuoksuinen, sitä ei ole testattu eläimillä, se ei sisällä haitallisia kemikaaleja eikä palmuöljyä. Suihkugeeli on käsin tehty ja vegaani. Vaikka suihkugeelin tuoksu tuntuikin hieman makealta, pidin siitä silti. Tuote tuntui luksukselta kun se oli niin maitoinen ja pieni määrä riittää pitkälle. Olisin toivonut, että tuote olisi pakattu muuhun kuin muoviin, mutta muutoin olin kovin tyytyväinen kokemukseeni. Tämä kiinteä shampoopala oli herkullisen mangolassin tuoksuinen ja yksi ehdoton lempi tuotteistani boxissa. Se on PETA:n hyväksymä ja sisältää ihania luonnollisia tuotteita jotka ravitsevat hiuksiamme. Tämä tuote riittää todellakin pitkälle. Vaikka shampoopala onkin pieni, käytin sitä useampaan kertaan, enkä huomaa että sitä olisi kadonnut minnekään. Hiukseni tuontuivat pesun jälkeen puhtailta sekä terveiltä ja tuoksu pysyi pitkään. Tämä tuote olisi mahtava mukaan reissuun ja on ehdottomasti tuote jonka ostaisin uusiksisin! Oikeastaan tämä ei ole saippua vaan pala jolla voi pestä hiukset, kropan ja kasvot, mutta joka ei sisällä saippuaa vaan muita ainesosia jotka ovat hellävaraisia mille tahansa iho tyypille atooppisesat vauvan ihoon. Se pesee hyvin ja on luonnollinen eikä sisällä parfyymeja. Kokeilin palaa hiuksiini ja kroppaani ja olin oikein tyytyväinen tuloksiin. Tuoksu oli kevyen tervamainen, mutta pidin siitä, ja pesun jälkeen koin tuoksuvani hyvin luonnolliselle. Tuote tuntui hyvin pehmeältä ja ylelliseltä. Tämä on myös tuote joka toimisi mahtavasti matkassa mukana, kun et muuta tuotetta suihkuun tarvitsekkaan. Tykkäsin paljon suklaista ja vain harmitti ettei niitä ollut enempää. Yleensä en pidä marja teestä, mutta nämä teet olivat hyvin raikkaita ja erityisesti pidin siitä joka sisälsi vesimelonia, se oli aivan ihana! Minusta oli ihana kokeilla näitä tuotteita, joita en varmasti olisi muuten tullut kokeilleeksi. Jokainen oli korkealaatuinen ja ihana elämys. Aloin arvostaa Green Eco Box:ia ja heidän työtään vain enemmän! Nyt heidän netti sivuiltaan löytyy myös eboutique, joten jos missasit jonkun tuotteen tai haluat ostaa lisää jotain mistä tykkäsit se onnistuu helposti. Minusta Green Eco Box on aivan ihana uniikki palvelu joka tutustuttaa sinut brändeihin joihin et muuten luultavasti tutustuisi. Se mahdollistaa uusien tuotteiden kokemisen ja tukee pieniä artisaani tekijöitä ympäri maailmaa, sekä varmistaa että jokainen tukee myös hyväntekeväisyyksiä. Oli myös mahtava huomata kuinka monet tuotteen oli certifioitu, joka sai minut vain luottamaan tähän boxiin enemmän! Heidän nettisivuja voi toistaiseksi käyttää vain englanniksi, saksaksi ja ranskaksi, mutta toivottavasti tulevaisuudessa he laajentavat myös muille kielille. Bee Happy box:in kuukausittainen tilaus on 42€ per boxi. Hintaan sisältyy postimaksut Eu:n sisällä mukaan lukien Sveitsi ja Iso-Britannia. Beauty in the Box:in joka toinen kuukausittainen tilaus on 33 € per boxi. Hintaan sisältyy postimaksut Eu:n sisällä mukaan lukien Sveitsi ja Iso-Britannia. Juuri nyt uudet asiakkaat kirjauduttuaan saavat 15% alennusta. Tuo on mahtava hinta kokeilla boxia ja tutustua uusiin artisaani tuotteisiin. Vieraile heidän sivuillaan täältä! *Green Eco Box gifted me with a free box to test and write about, however, all opinions are my own / Sain boxin lahjaksi Green Eco Box:ilta, mutta kaikki mielipiteet ovat omiani. I spend may working very hard and working on a project that I am super excited about and can’t tell about yet, but will hopefully be able to start talking about soon. There very many late night sessions of work, asking my partners help and a couple of cries of frustration when the internet wasn’t working. It is funny to realise how dependent we are on the internet. Our lives in the western countries are based on us being able to use the internet, so it’s no surprise how helpless you can feel when that is taken away from you. When the internet actually did work I quickly did the work required to be done on my computer and wrote posts here. I finally published my experiences of sustainability in Chania. The post is a great resource if anybody ever wants to go on a holiday there! I was excited to learn, during the Organic Beauty and Wellbeing week, that the eye cream I bought from Chania was certified organic and have enjoyed using it even more since! I also visited the Glasgow Coffee Festival where I got to know several new local companies making amazing products! And I shared Instagram pictures that I enjoyed in April and the most interesting sustainable news I saw in April. For June I am expecting one of my busiest months but will try to come and write here on occasion. Funnily enough, my freelance work is piling up just now and I don’t seem to be able to say no. And on top of that, I still have my project that I am working on. So keep your thumbs up that I will have enough time to finish it all and still have some time off for myself! How was your May? And what plans do you have for June?